Direct merchandise orders from our vendors. 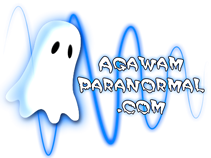 T-Shirts, Golf Shirts, Decals, Key Rings, Hats, Sweatshirts, Jackets, etc…Agawam Paranormal actually doesn’t sell anything, we only provide a free service that our members pay for themselves (batteries, new equipment, etc…). We do offer merchandise through our contracted vendors (t-shirts, polo shirts, window decals, magnets, key chains, etc…) but all such sales are through said vendors and not Agawam Paranormal. Stay tuned and come back often for more great merchandise information! Below you will find the products offered by Soul Crusher Graphics. Use the following list of items and different options for products available by e-mailing your order to SoulCrusherGraphics@Yahoo.com. Additional shipping and handling charges may apply.